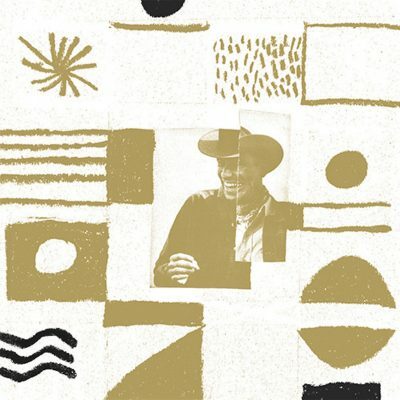 Allah Las hit us again with another nostalgic piece of rock n’ roll. On this sophomore release, Calico Review, the band endeavors with poppy backbeats, a fair dose of experimentation and their usual throwback to the sounds of the ‘60s. But what most noticeably surfaces after a little research on the record is their use of the same soundboard used on The Beach Boys’ Pet Sounds. You can see that they are trying to hone in on surfacing those classic tones, especially given that they used obscure instruments like a theremin and a harpsichord. Using tools like these, they were able scrape up lots of fun new tones and vibrations, giving the record a new yet relaxingly familiar cadence. “Autumn Dawn” softly dances around the harpsichord with a bass and a nice beat before embarking into its verse and choruses. A big trait this album works for is getting the most it can out of each tone while slowly evolving obscurity into a sweet, new familiarity; it’s a nostalgia that crept up gradually before I realized it was right in my face. “Terra Ignota” bounces throughout its duration on a beat up a trail of sensuous guitar and ambience. It helps me resurface old memories of listening to Grizzly Bears’ Shields. This album is great not only because of its ability to relate to the music from half a century ago but also to resurface music of the past decade. I hear traces of Ty Segall, White Fence, Bass Drum of Death, The Growlers and even The Strokes all being summed up in this single record. It’s sentimental but touts a modernity that comes bursting out of the gates of 2016. “Satisfied” and “Warmed Kippers” create fresh vibrations and a keen similarity to those early ‘70s records from the likes of The Beatles and The Kinks while sparking something original. They’ve brushed off a little of the psychedelic glaze of the ‘60s but are still creating sounds that are vibrant and colorful.